This is Christiana's apartment. Cute right? She is one of the owners of Hygge & West. I leave out my favorite bags and coats too, just because I like the way they look. There are just not enough times in my life to use a sparkly vintage clutch. This wall is an inch wider than the wallpaper, an inch. Sad, but oh well. Also, I'm going to cover up that breaker box with a painting. 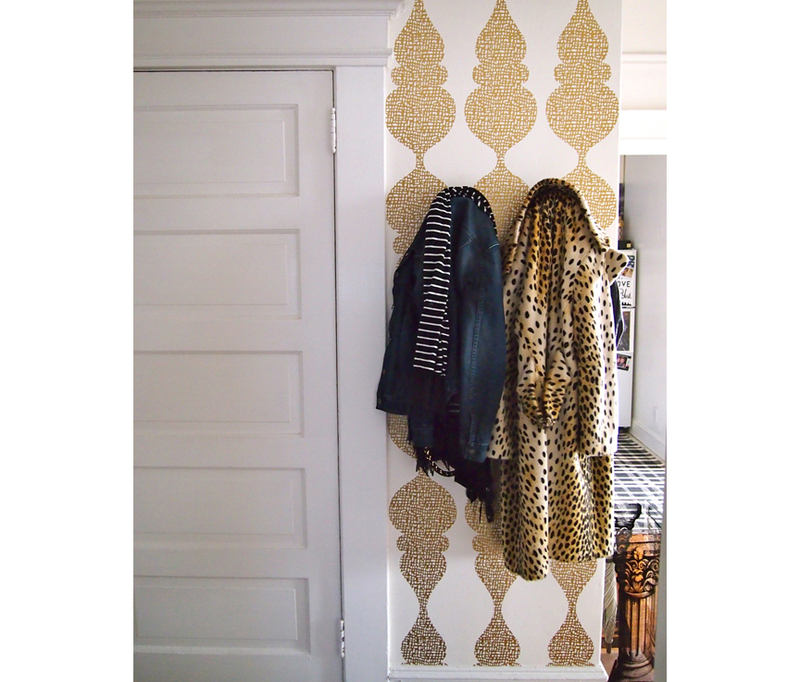 Hopefully this weekend I'll have a new photo to share of a wallpapered wall!